It is made out of high quality of cow nappa leather. we used gun metal fitting and polyester striped cloth. 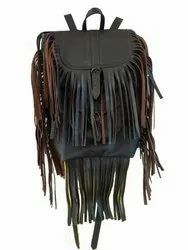 we also make leather backpack as per customer specifications. 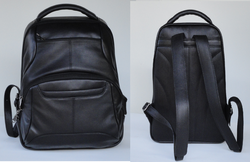 and we also make leather backpack in diffirent leather. Code: RSK001It is made handmade leather with embossed designs on the leather. Looking for Leather Backpack ?